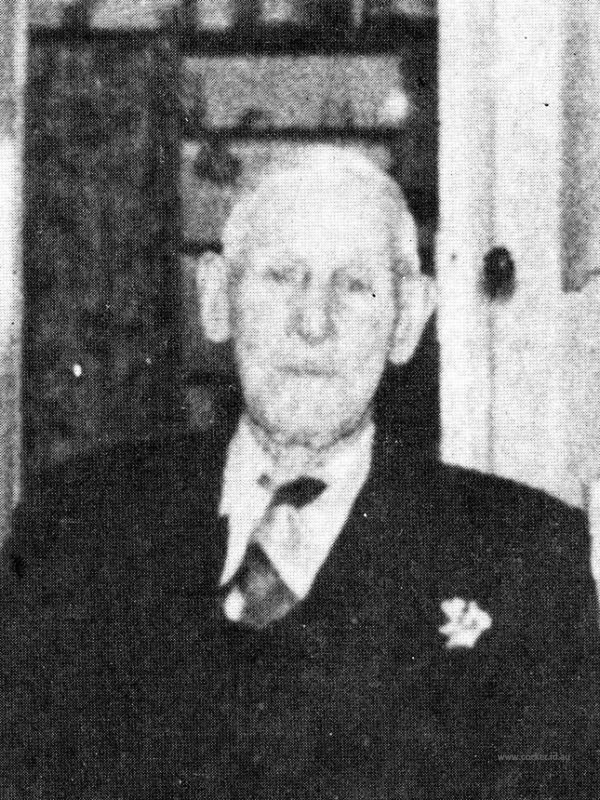 3-George Henry Appleby was born on 15 Nov 1876 in Exton, Tasmania, died on 13 Jul 1962 in Tasmania at age 85, and was buried in Jul 1962 in Methodist Church, Ulverstone. He served in the First World War. George married Elizabeth Mary Hanney, daughter of Thomas John Hanney and Sophia Turner, on 20 Jan 1901 in West Devonport, Tasmania. Elizabeth was born on 19 Dec 1881 in Nile and died on 30 May 1966 at age 84. George went to school at Westbury, walking to and from school as there was no other means of transport in those days. When the family moved to Mole creek he spent some time at the school there. Some years later the family moved to Gawler and George finished his schooling at a school in Ulverstone. The school was owned and run by a Mr. Gurney and was situated at the top end of George Street. While George attended school he boarded in the house next door to the school (No. 23 George Street). Many years later he moved to and lived in the same house. At the age of 24 he met and married Elizabeth Mary Hanney who lived at the Nile. They were married in the Congregational Church at Devonport. George and Elizabeth had four children, three sons and one daughter. George enlisted for overseas service in 1914. He was wounded and repatriated home in 1916. Most of his life George did farm work in the Ulverstone district. He owned a horse and float and grew and sold fruit and vegetables. One of the unusual things about Henry was he that he couldn't swim and providing the river or water wasn't too wide he would walk under the water holding his breath till he came to the other side and shallow water again.George died after a long illness in July 1962. 4-Clarence George Appleby was born on 13 Jun 1902 in North Motton, was christened on 28 Jul 1902 in Church of England, and died on 10 Nov 1975 at age 73. Clarence married Edith Mary Brett on 31 Jul 1941 in Ulverstone, Tasmania. Edith was born on 21 Jan 1924 in Gawler, Tasmania and died on 30 Mar 1972 at age 48. They had seven children: Hilda Edith, Barbara May, Evelyn June, Christine Joan, Dennis George, Glenda Charlets and Philip Arthur. 5-Hilda Edith Appleby was born on 16 Feb 1942. Hilda married Henry James Parker. Henry was born on 7 Sep 1937. They had four children: Derek James, Nick Mathew James, Zane Anthony James and Kade Andrew James. 6-Derek James Parker was born on 16 Jun 1963. 6-Nick Mathew James Parker was born on 12 Sep 1969. 6-Zane Anthony James Parker was born on 5 Oct 1970. 6-Kade Andrew James Parker was born on 25 Sep 1975. 5-Barbara May Appleby was born on 2 Oct 1945. Barbara married David John McBryde. David was born on 23 Jul 1943. They had six children: Kenneth Ray, Glen Ian, Clarence George, Victoria Jean, Victor John and Benjamin Ian. 6-Kenneth Ray McBryde was born on 21 Oct 1963. 6-Glen Ian McBryde was born on 4 Oct 1965. Glen married Sue Power. Sue was born on 23 Jun 1961. They had two children: Rebecca and Melissa. 7-Rebecca McBryde was born on 16 Apr 1982. 7-Melissa McBryde was born on 20 Jun 1984. 6-Clarence George McBryde was born on 6 Jul 1970. 6-Victoria Jean McBryde was born on 26 Dec 1972 and died in Mar 1973. 6-Victor John McBryde was born on 11 Nov 1973. 6-Benjamin Ian McBryde was born on 14 Mar 1982. 5-Evelyn June Appleby was born on 19 Jul 1947. Evelyn married someone. She had three children: Kathleen June, Zamarie Edith Mary and Clinton James. 6-Kathleen June Appleby was born on 24 Nov 1967 and died on 20 Sep 1968. 6-Zamarie Edith Mary Appleby was born on 23 May 1973. 6-Clinton James Appleby was born on 5 Oct 1976. 5-Christine Joan Appleby was born on 9 Jul 1948. Christine married someone. She had three children: David Terrance, Diana Joan and Graham John. 6-David Terrance Appleby was born on 24 Nov 1966. David married Belinda. Belinda was born about 1962. 6-Diana Joan Appleby was born on 27 Oct 1970. 6-Graham John Appleby was born on 16 Aug 1972. 5-Dennis George Appleby was born on 23 Nov 1949. Dennis married Pamela Anne Willett. Pamela was born on 27 Apr 1950. They had two children: Stephen Anthony and Andrew George. 6-Stephen Anthony Appleby was born on 7 Apr 1971. 6-Andrew George Appleby was born on 16 Apr 1973. 5-Glenda Charlets Appleby was born on 3 Jan 1950. Glenda married someone. She had one daughter: Kelli Edith. 6-Kelli Edith Appleby was born on 9 Jan 1970. 5-Philip Arthur Appleby was born on 3 Jun 1955. Philip married Veronica Gaye Bowkett. Veronica was born on 18 Aug 1957. They had three children: Philip James, Toni Marie Edith May and Nathan Heath. 6-Philip James Appleby was born on 8 Oct 1973. 6-Toni Marie Edith May Appleby was born on 27 Sep 1975. 6-Nathan Heath Appleby was born on 5 Jun 1978. 4-Cyril Henry Appleby was born on 18 Jan 1904 and died on 28 May 1965 at age 61. Cyril married Beachie Barbara Dulcie Wellard on 19 Nov 1927 in Ulverstone, Tasmania. Beachie was born on 4 Dec 1905. They had one daughter: Dulcie. 5-Dulcie Appleby was born on 10 Oct 1945. Dulcie married Barry Hingston. Barry was born on 9 Jun 1944. They had three children: Leon Henry, Michelle Elizabeth and Patrina Francis. 6-Leon Henry Hingston was born on 31 May 1967. 6-Michelle Elizabeth Hingston was born on 28 Nov 1968. 6-Patrina Francis Hingston was born on 8 Apr 1975. 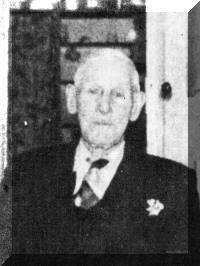 4-Reginald Herbert Appleby was born on 6 Sep 1905 in Westwood and died on 8 Aug 1968 at age 62. He served in the Second World War. Reginald married Valda Ellen Good, daughter of David Hector Good and Henrietta Francis Deacon. Valda was born on 2 Apr 1908 in Penguin. They had two children: Carol Francis and Raymond. 5-Carol Francis Appleby was born on 5 Sep 1927. Carol married Fred loyd Harrison. Fred was born on 30 Apr 1921. They had two children: Ruth Elizabeth and Rosemary Ann. 6-Ruth Elizabeth Harrison was born on 22 Oct 1951. Ruth married Michael Sheridan. Michael was born on 15 Aug 1938. They had one daughter: Anita Joy. 7-Anita Joy Sheridan was born on 6 Oct 1984. 6-Rosemary Ann Harrison was born on 3 Jan 1955. Rosemary married Iain Edwin Baxter Whitelaw. Iain was born on 4 Jul 1954. They had two children: Leanne Ruth and Alison Louise. 7-Leanne Ruth Whitelaw was born on 13 Feb 1979. 7-Alison Louise Whitelaw was born on 24 Oct 1981. 5-Raymond Appleby was born on 7 Aug 1929. Raymond married Irene Johnston. Irene was born on 2 Jan 1928. They had two children: Jennifer Dianne and Lesley Rodney. 6-Jennifer Dianne Appleby was born on 17 Dec 1955. Jennifer married Graham Robinson. Graham was born on 8 Apr 1955. They had two children: Paul Graeme and Jeffrey Edward. 7-Paul Graeme Robinson was born on 2 Jan 1976. 7-Jeffrey Edward Robinson was born on 2 Jan 1976. Jennifer next married Thomas Bowes in 1988. They had one son: Lachlan. 7-Lachlan Bowes was born on 14 Apr 1988. 6-Lesley Rodney Appleby was born on 26 Jun 1963. Lesley married Karen Pauly. Karen was born on 10 Jun 1963. They had four children: Luke Eric, Callan Peter, Elizabeth Teagan and Caitlin Leander. 7-Luke Eric Appleby was born on 18 Jul 1987. 7-Callan Peter Appleby was born on 26 Aug 1988. 7-Elizabeth Teagan Appleby was born on 26 Jul 1990. 7-Caitlin Leander Appleby was born on 7 Aug 1998. Raymond next married Anne Doreen Copeland. Anne was born on 16 Aug 1950. Reginald next married Gertrude Charlotte Benschneiger. Gertrude was born on 31 Jul 1914 and died on 8 Jan 1975 at age 60. They had two children: Graeme Reginald and Anne Elizabeth. 5-Graeme Reginald Appleby was born on 31 Dec 1944. Graeme married Valmai Robyn Burley. Valmai was born on 10 Feb 1945. They had three children: Grant Patrick, Brett and Jason. 6-Grant Patrick Appleby was born on 26 Mar 1969. 6-Brett Appleby was born on 25 Mar 1970. 6-Jason Appleby was born on 27 Mar 1975. 5-Anne Elizabeth Appleby was born on 7 Feb 1947. Anne married Raymond George Stokes. Raymond was born on 25 Dec 1945. They had two children: Tracey Lee-Anne and Kelli Maree. 6-Tracey Lee-Anne Stokes was born on 1 Aug 1967. 6-Kelli Maree Stokes was born on 19 Dec 1970. 4-Sylvia Elizabeth Appleby was born on 12 Sep 1914. Sylvia married Herbert Roland Knight. Herbert was born on 13 Dec 1917. They had four children: Kevin Roland, David Cyril, Dale George and Elaine Joan. 5-Kevin Roland Knight was born on 26 May 1937. Kevin married Marlene Patricia McDonald. Marlene was born on 13 Mar 1940. They had four children: Trudy Jane, Kelly Lee, Garry Kevin and James Jason. 6-Trudy Jane Knight was born on 18 Nov 1960. Trudy married John Hill. John was born on 12 Dec 1959. They had two children: Linda Jayne and David John. 7-Linda Jayne Hill was born on 3 Jul 1983. 7-David John Hill was born on 24 Jul 1985. 6-Kelly Lee Knight was born on 18 Apr 1963. Kelly married John Gordon Rigby. John was born on 28 Feb 1958. Kelly next married Robert Foster. They had one daughter: Laura May. 7-Laura May Foster was born on 14 Dec 1987. 6-Garry Kevin Knight was born on 24 Aug 1964. 6-James Jason Knight was born on 10 Nov 1969. 5-David Cyril Knight was born on 11 Jan 1939. David married Janice Roslyn Howard. Janice was born on 28 Jul 1939. They had three children: Kimbra Louise, Suzanne Maree and Leigh Stuart. 6-Kimbra Louise Knight was born on 1 Mar 1961. 6-Suzanne Maree Knight was born on 7 Apr 1963. Suzanne married Geoffrey Stonehouse. Geoffrey was born on 9 Aug 1960. They had one son: Timothy Alexander. 7-Timothy Alexander Stonehouse was born on 15 May 1986. 6-Leigh Stuart Knight was born on 11 Apr 1969. 5-Dale George Knight was born on 11 Jan 1939. Dale married Cheryl Toni Martin. Cheryl was born on 7 Jan 1944. They had three children: Brian Dale, Tracy Bronwyn and Rebecca Sally. 6-Brian Dale Knight was born on 26 Aug 1966. 6-Tracy Bronwyn Knight was born on 21 Apr 1968. 6-Rebecca Sally Knight was born on 14 Jan 1975. 5-Elaine Joan Knight was born on 16 Jul 1940. Elaine married Victor James Connelly. Victor was born on 1 Jun 1938. They had five children: Craig Allan, Vicki Ellen, Sandra Elizabeth, Gregory Ian and Dianne Maree. 6-Craig Allan Connelly was born on 8 Jan 1958. 6-Vicki Ellen Connelly was born on 31 Oct 1959. Vicki married Geoffrey Robert Crawford. Geoffrey was born on 25 Jan 1953. They had two children: Jamie Robert and Dwaine Robert. 7-Jamie Robert Crawford was born on 31 Jul 1979. 7-Dwaine Robert Crawford was born on 16 Jan 1981. 6-Sandra Elizabeth Connelly was born on 18 May 1961. Sandra married Brendan Edward Horton. Brendan was born on 28 Sep 1958 in Devonport. They had one son: Benjamin Edward. 7-Benjamin Edward Horton was born on 2 Dec 1981. 6-Gregory Ian Connelly was born on 8 Jun 1962. 6-Dianne Maree Connelly was born on 14 Aug 1967. Dianne married Mark Winwood. Mark was born on 6 Sep 1965.